The March 2017 edition of our monthly "Best Mini PC deals" article is closely tied to the campaign launched by Gearbest for their 3rd Anniversary Celebration, basically an entire week with several opportunities to get interesting gadgets at good prices. 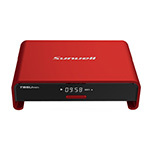 You can read more about the GearBest campaign and the prizes here - don't forget to check out their "Lucky bags", they sell one for $43 - with a price reduction from ....wait for it .... $32.411.04! We start our list with Gole1 Plus - we just have to! After playing with the device for 10 days I found myself enjoying the UMPC, you can read more about how the device performs in real-world use in our Gole1 Plus review. The regular price was $219.99 for the 4GB of RAM and 64GB ROM version and $239.99 for the 4GB of RAM and 128GB ROM version, but with the current promotion you can get them much cheaper - $179 and $199 - quite a deal! 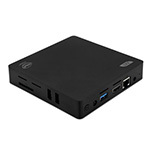 If you want a cheap Windows 10 Mini PC and you don't need the screen the Gole1 Plus has, you can take a look at Z83II, device we talked about here. It only has 2GB of RAM and 32GB ROM, but the price is very tempting at $83.99. Currently listed on GearBest for $83.99. 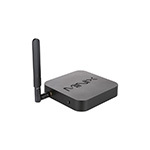 There couldn't be a "Best Mini PC deals" list with an Amlogic S912 device and without a Beelink so why not both? I had mentioned Beelink GT1 here several times and it's dual-band wi-fi, Gigabit ethernet and 2G DDR3 RAM with 16G eMMC, and meanwhile Beelink launched an update with 3GB of RAM DDR4. Currently listed on GearBest for $55.99 (2GB) and $72.99 (3GB DDR4). We covered the Sunvell's S912 "out-of-the-box" product line in a dedicated article here on MiniPC DB, and several of them have a slightly better price now. They are all interesting, fresh design, Gigabit Ethernet, dual band wi-fi and 2GB RAM/16GB eMMC ROM combo. T95U Pro is on GearBest for $55.99. 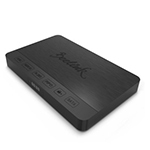 Beelink SEA I is powered by the Realtek RTD1295 and comes with an internal HDD bay (2.5''), two HDMI ports (in and out), USB 2.0 and 3.0, Gigabit Ethernet, dual-band wi-fi with internal antenna. 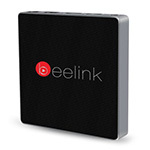 Beelink SEA I was listed on GearBest for $104 originally, but currently you can get one for just $89.99. This is another sweet deal for those looking for a high-end device from a company which an excellent track record for after-sales support. Minix Neo Z83-4 is a good looking device with an Intel® Atom™ x5-Z8300 SoC, 4GB of RAM, Windows 10 preinstalled and some interesting features we talked about on our initial article here. Minix Neo Z83-4 is currently listed for just $169.99 on GearBest.